Kerala literally means “the land of the coconut trees”, which is not surprising. It’s amazing how many palm trees there are everywhere you look. It’s really beautiful. However, Kerala is much more than that. This land will surprise you with all the things it has to offer. Keep reading to discover the best bucket list experiences to have in Kerala! The only thing I knew about Kerala before traveling there, was the Kerala Backwaters. 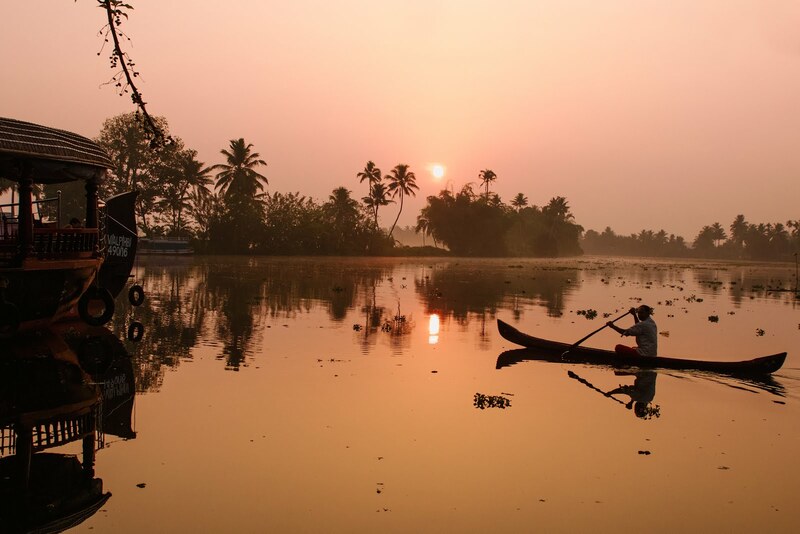 The backwaters are a network of lakes and channels located in Allepey (Allapuram in Malayalam), and they are part of the daily life of its inhabitants. We spotted the school bus commuting in one of the channels! 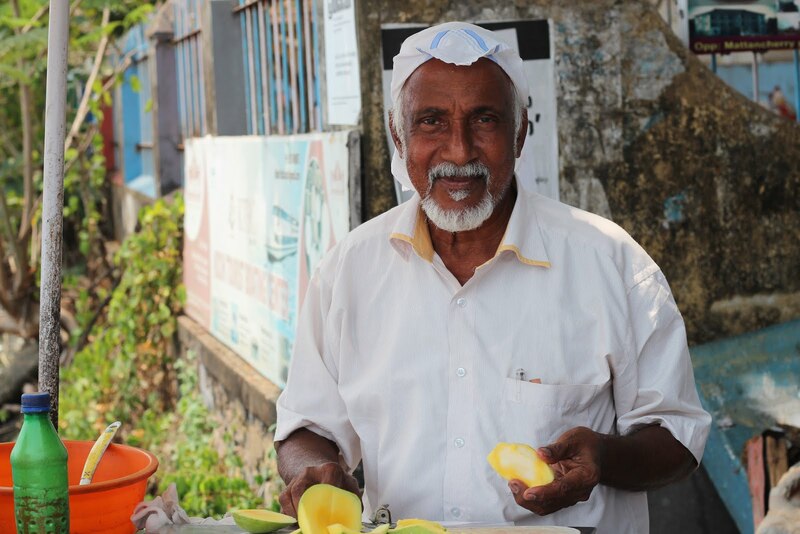 One of the best experiences you can have in Kerala is this. 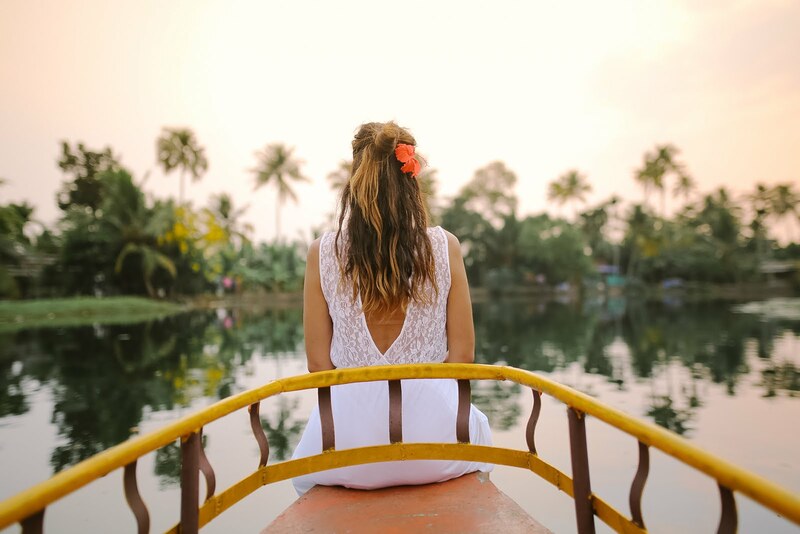 I highly recommend you spending a night on board a ketuvallom, the traditional boat, so you can enjoy an epic sunset and sunrise and also get to experience real Kerala food. Now you know why Kerala is known as the Venice of the East. 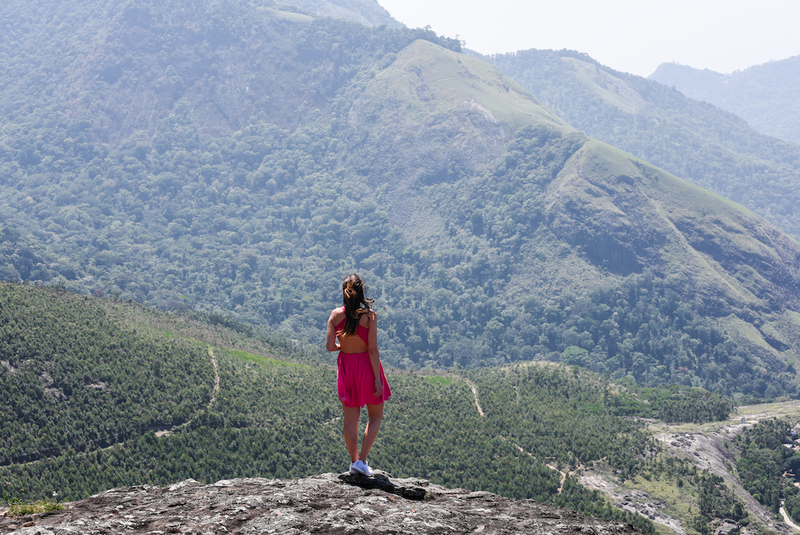 I really loved the Kerala Backwaters, but the place that surprised me the most was Munnar. We camped there with Kalypso adventures and went for a morning hike to Phantom Hill, where you can get a blissful view! On our way down back to the camp, we walked through the tea plantations and we learnt about how to obtain the tea from the leaves (white, black and green). When you mix them all is when you obtain masala tea. If you don’t like spicy food it will take you a while to enjoy Kerala gastronomy. I loved it so much! Every time I come back from India I feel the need to season everything with chili sauce. 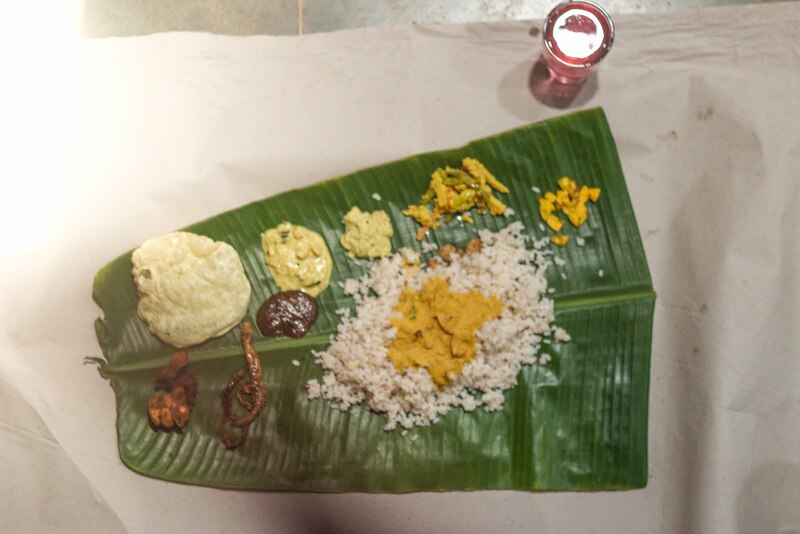 Anyhow, try at least once the traditional food on the floor, using a palm leaf as a plate and getting a delightful feast of colors and flavors. 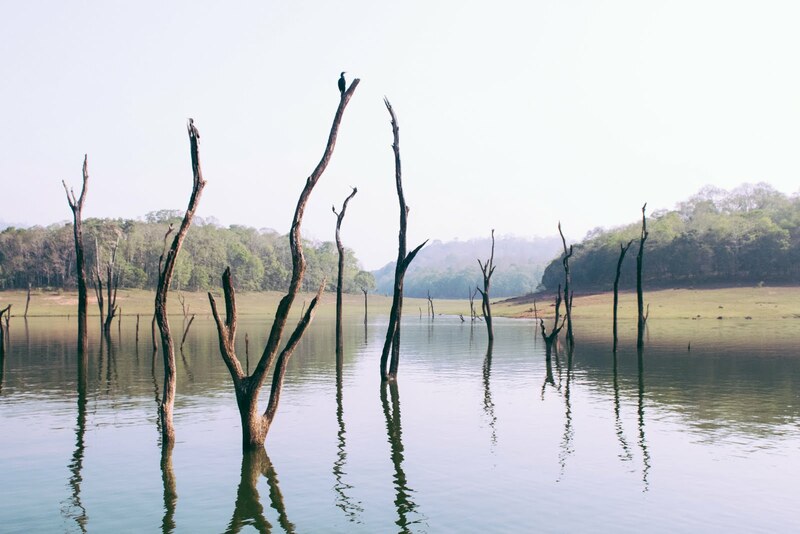 We were really excited about the possibility of spoting tigers and elephants in Periyar Tiger Reserve... However , we didn’t. We visited Periyar on a boat which was really great, but later on I met another traveler who did the guided trekking in Periyar and the photos he took of the animals were amazing! If you can, do the trekking. One of the most memorable experiences of the trip were the cultural experiences with The Blue Yonder. 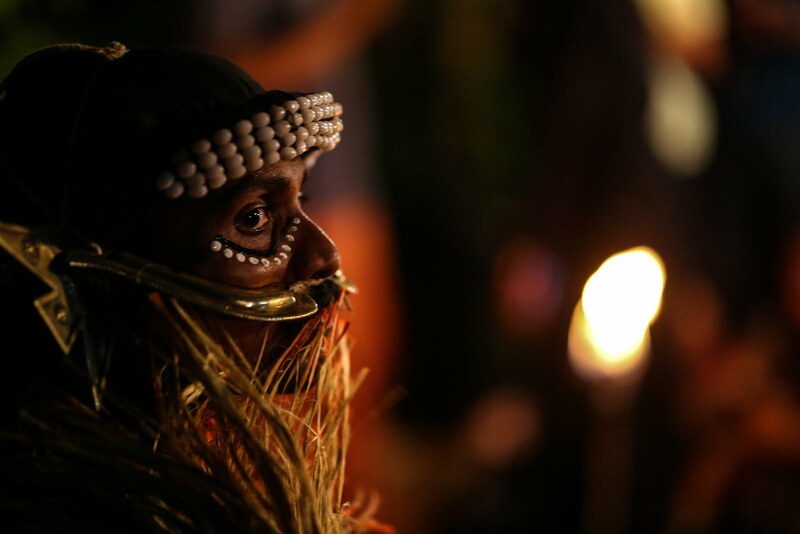 With them we get to visit some villages and how the people still preserve their traditions thanks to responsible tourism. 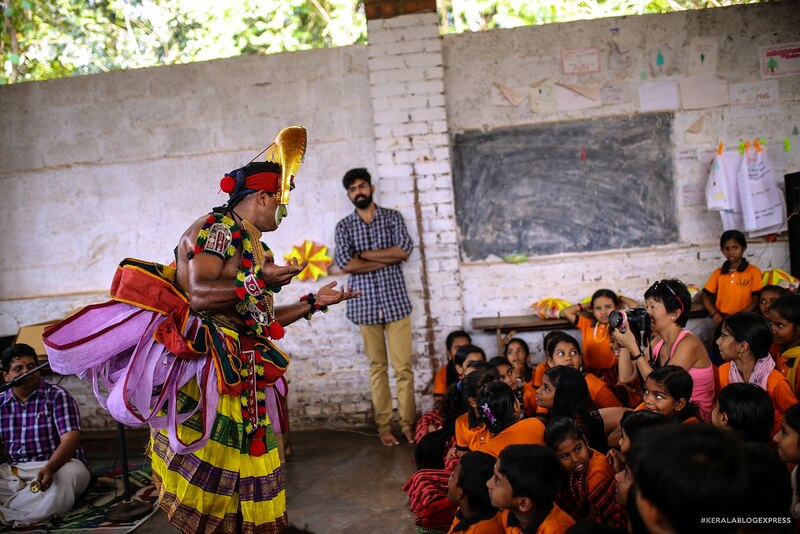 With them, we visited a school where the kids could enjoy a kathakali dance for the first time. And they loved to see some foreigners, too. 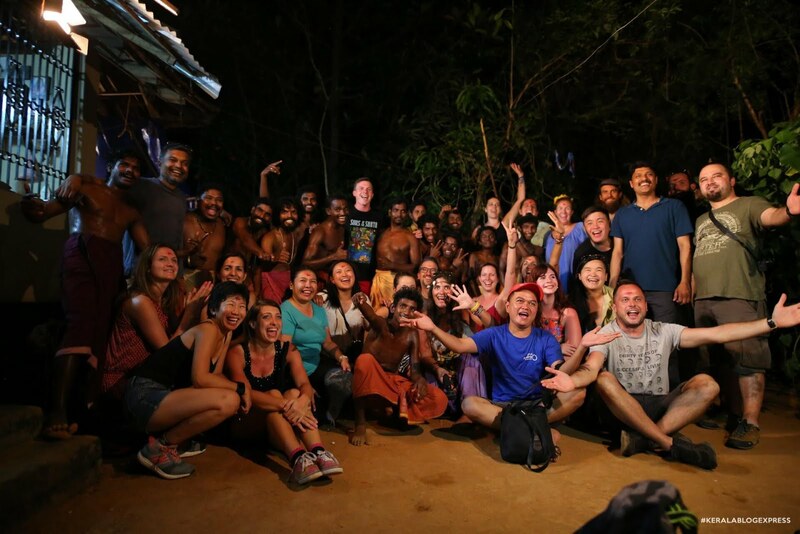 We also visited a family home where they still preserve their traditions and they made us jump, dance, sing and we were 100% happy and grateful to sharing this moment with them. 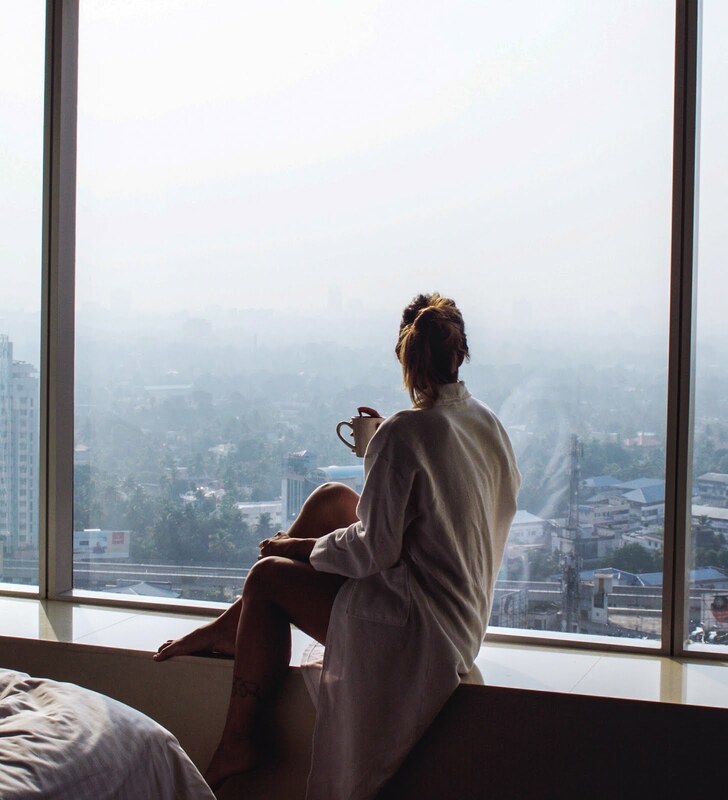 I would never have imagined that my first time in India was going to be one of the most luxurious travels. Each hotel was better than the previous one: they welcomed us with music, flower necklaces and special performances every single time. We were staying in villas with a private pool, hotels with infinity pools in the middle of the nature, incredible buffets… It’s worth living this experience this at least once in a lifetime! If you plan to stay at a luxury resort for one day, make sure you make the most out of it! 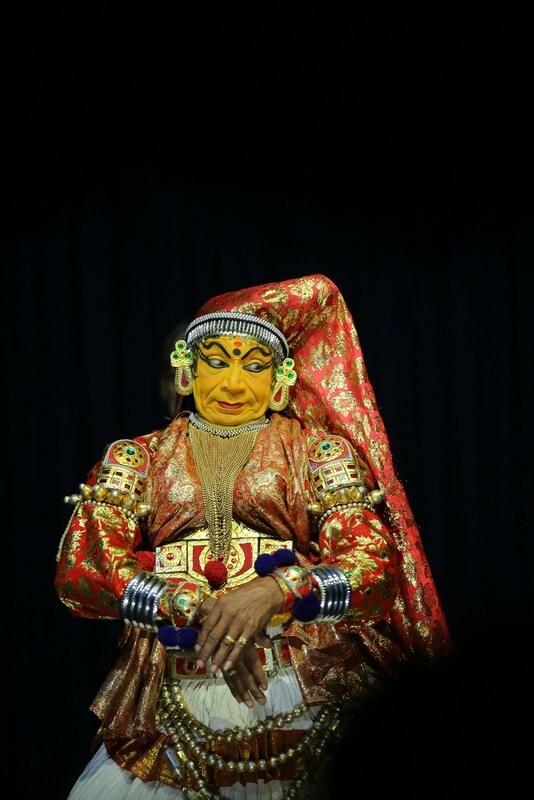 The traditional dance in Kerala is known as Kathakali, where a green persona sings and dances. It’s a must when visiting Kerala. I had the opportunity to enjoy an Ayurveda treatment at The Lalit. The experience was amazing: put this on your list because you deserve it. 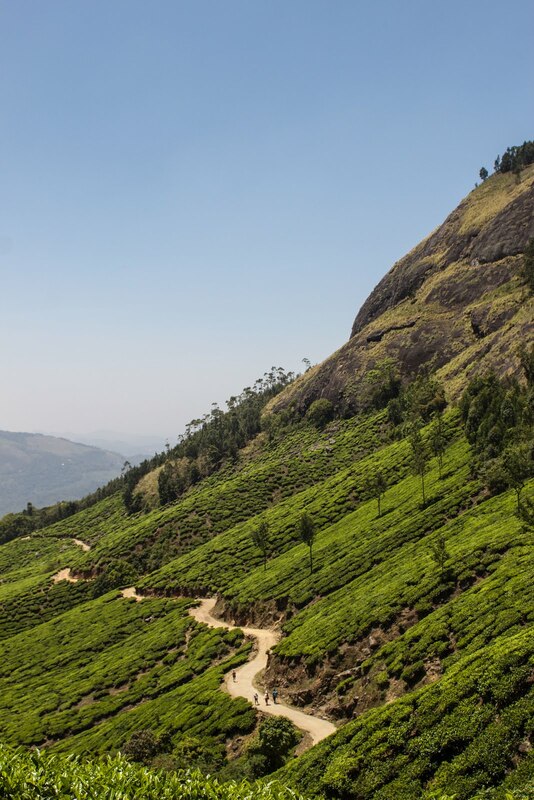 One of my favorite places in Kerala was Munnar: Victoria and I headed to the village to get lost on its streets, visiting the markets and connecting with the people a bit. Plus, one of the best experiences you can have in India is traveling by train. The way in which the seats are arranged favors communication and it flows in a natural way. If you want to chat they will be happy to talk with you! In Fort Kochi you can see how this traditional fishing system works. The truth is that it is pretty impressive because the nets are huge. Be a responsible traveler and do not participate in any business where animals are abused. As in the rest of India, in Kerala they also have elephants at some celebrations or for tourists to take a walk on their backs. Please, never ride elephants.. I was invited by Kerala Tourism to travel to Kerala. As usual, my opinion remains my own.